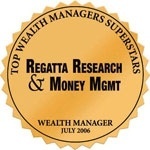 Regatta’s own Eric Greschner was listed as one of the “Wall Street 50”, an accomplished list of industry giants that includes founder of Vanguard, John Bogle, and legendary investor, Jimmy Rogers, who balance capitalism with conscious living. 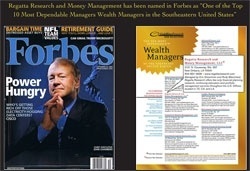 Regatta Research was twice listed in Forbes as one of the the "Top Ten Most Dependable Wealth Managers in the Southeastern United States." 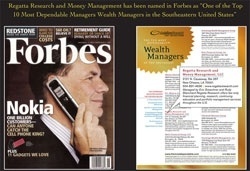 Only 20% of the firms selected in 2007 made the list again in 2008. 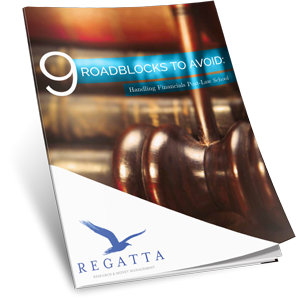 Regatta was one of them. 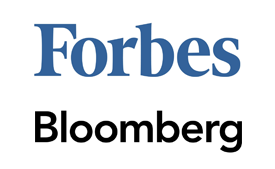 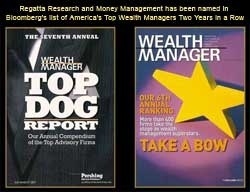 Regatta Research was listed for the last two years by Bloomberg as one of America's Top 400 Wealth Management Superstars.